Ellen worked for a US law firm in the early 1990’s prior to going on to manage a cross border recruitment business. 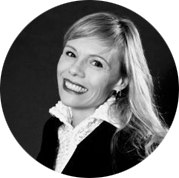 Ellen was the CEO of TMP Worldwide in Central Europe from 1999 to 2001 where she led M&A activities. She later served as the Director of Hudson Legal Emerging Europe from 2001 to 2011. Ellen has served over 100 law firms in 37 countries and has experience recruiting lawyers at all levels for law firms and corporations in Hungary, Czech & Slovak Republics, Poland, Russia, Bulgaria, Ukraine, Slovenia, Romania, Turkey, Kazakhstan & West Balkans (Serbia, Croatia, Bosnia, Albania etc. ).